Many property owners will, at one time or another, wish to undertake a change to either the land or buildings that they own. Planning or Listed Building Applications may be required. 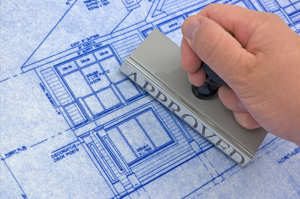 Securing Planning or Listed Building Permission can be and is often difficult. Securing a consent that delivers exactly what the client wants may present an even bigger challenge. We have many years’ experience in preparing and submitting Planning, Listed Building Applications and Conservation Area Consent applications or application for consent of reserved matters. In addition we often prepare planning statements or impact assessments. Dealing with planning issues is becoming an increasingly complex task. Where required we will work with a select range of specialist planning consultants who are able to work with us, bringing specialist knowledge and skills to bear to the advantage of our clients, in securing the consent required. From simple applications to extending retail, commercial or residential property; or large scale penthouse or basement development schemes, we are able to draw on our wide understanding of construction, refurbishment, alteration and extension work to assist you with achieving your development and alteration ambitions. We are well placed to deal with heritage or conservation matters and the alteration of Listed Buildings.